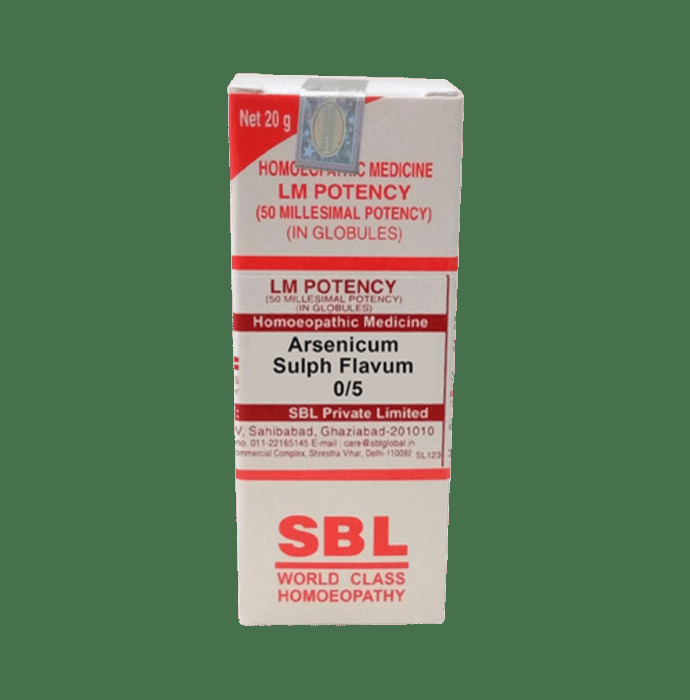 Arsenicum Sulphuratum Flavum is a yellow sulphured of Arsenic. It is also called Arsenic Trisulph. It is used in rheumatic pain and Leucoderma, and sciatica. Sciatica and pain around knees. Sticking sensation behind the ear. 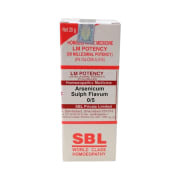 A licensed pharmacy from your nearest location will deliver SBL Arsenicum Sulph Flavum 0/5 LM. Once the pharmacy accepts your order, the details of the pharmacy will be shared with you. Acceptance of your order is based on the validity of your prescription and the availability of this medicine.